Bruce Pennington arrived in Washington in 1968. Bruce Pennington was one of DC's longterm activists and creators of community institutions. 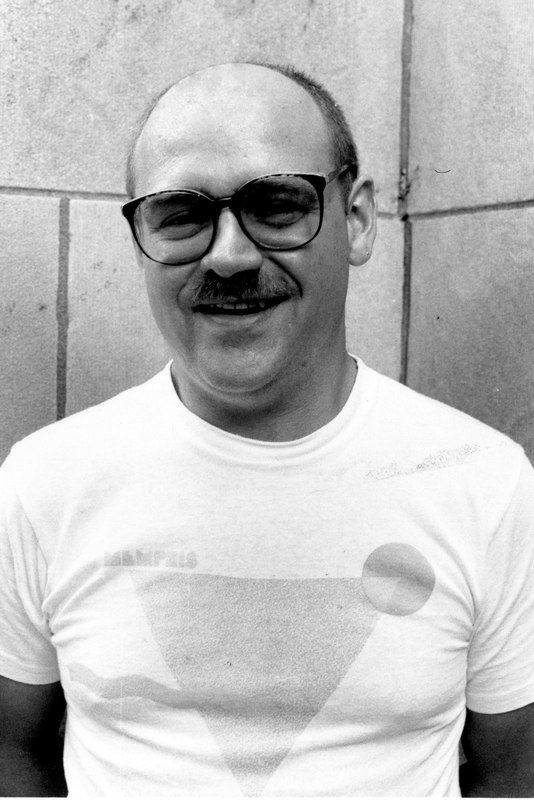 He was in at the beginning of DC's gay liberation 1970s, co-founding the Gay Liberation Front-DC, organizing the first Pride festival, creating the longrunning (1973-1982) radio program Friends, that reached many still closeted in the region. He led in gay foster-parenting and in fighting racism inside and outside the gay community. Bruce Pennington celebrated his gayness and his community. He believed in his heart in the phrase coined by Dr Franklin Kameny "Gay is Good". As an activist he was an early member of DC's Gay Liberation Front, helped stage DC's first Pride celebration in 1972, and worked on youth, racial and other community issues. With other GLF members, he created one of DC's earliest gay collectives: GLF House at 1620 S St. NW. Bruce helped organize gay support of the Black Panthers' People's Revolutionary Constitutional Convention in 1970. A close friend of journalist and writer David Aiken, Bruce collaborated on several of Aiken's articles for the Advocate. With Aiken, Lou Chibbaro, and others, he created the Stonewall Nation Media Collective which produced the Friends radio show on WGTB and WPFW from 1973 to 1982. In the late 70s Bruce became one of DC's first officially sanctioned gay foster parents. In the 1980s he helped found DC's Black and White Men Together and was at one time its president. From November 2000, Bruce Pennington was actively involved in the Rainbow History Project and served as its first vice-president. Bruce had a strong sense of personal and community history. He was one of the first to volunteer to record an oral history for the Rainbow History Project. He preserved many early papers and publications of the Gay Liberation Front and other local gay civil rights organizations. With admirable prescience, he also preserved both David Aiken's papers and the broadcast recordings of the Friends radio program (a collection of over 250 reel-to-reel tapes). Friends and members of the community remember Bruce's sense of humor and style, his love of the color purple, and his days in genderfuck drag as Aurora Borealis. His gift for cooking and the meals he produced are also well-remembered. An invitation to dinner at Bruce's was not to be missed. Having worked for many years in local restaurants, he turned to teaching at the Marriott Hospitality Charter School, where he infused his English lessons with cooking lore.